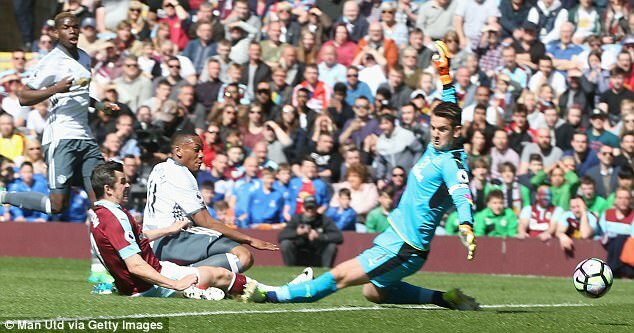 Manchester United will have to write Monaco a cheque for £8.5million after Anthony Martial scored his 25th goal for the club at Burnley. 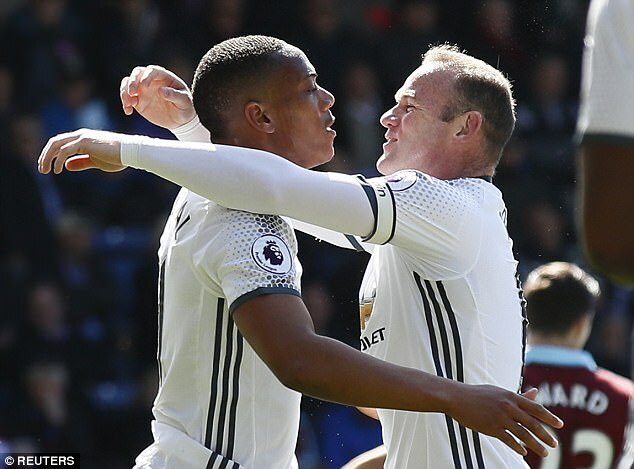 The French striker tucked home a chance in the 21st-minute at Turf Moor and therefore took his overall tally to 25 goals for the Old Trafford club. And, under the incremental terms of his 2015 arrival from Monaco, United now need to pay the Ligue 1 club some more money. 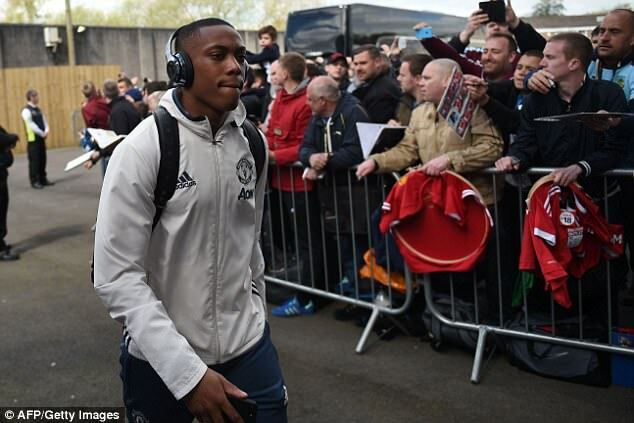 Martial’s original transfer fee was worth £36million at the time, with a clause inserted in the contract that obliges United to pay a further 10m euros (around £8.5m) when he reached 25 goals. That milestone has taken a while to reach during a turbulent season that has seen his game time limited by the excellent form of Zlatan Ibrahimovic and Marcus Rashford, and disagreements with manager Jose Mourinho. 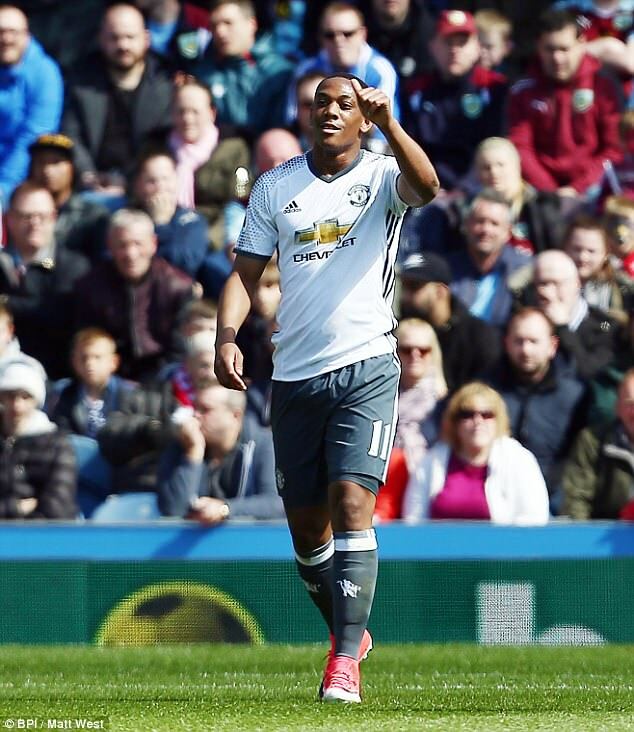 The goal at Burnley was Martial’s eighth of the campaign and his first since the 2-0 home victory over Watford back on February 11. The full terms of Martial’s move from Monaco to United, when Louis van Gaal was in charge, were subsequently leaked and revealed the financial instalments United have to meet. Martial, 21, has played 15 times for the France national team, but when he reaches 25 starts for them, United will owe Monaco another 10m euros. And if Martial is nominated for the Ballon d’Or during his time at Old Trafford, United are obliged to stump up another 10m euros. This latter clause doesn’t appear in any danger of being triggered, but the slump in the pound against the euro since the time of Martial’s signing means this latest payment will cost United more than they initially imagined.